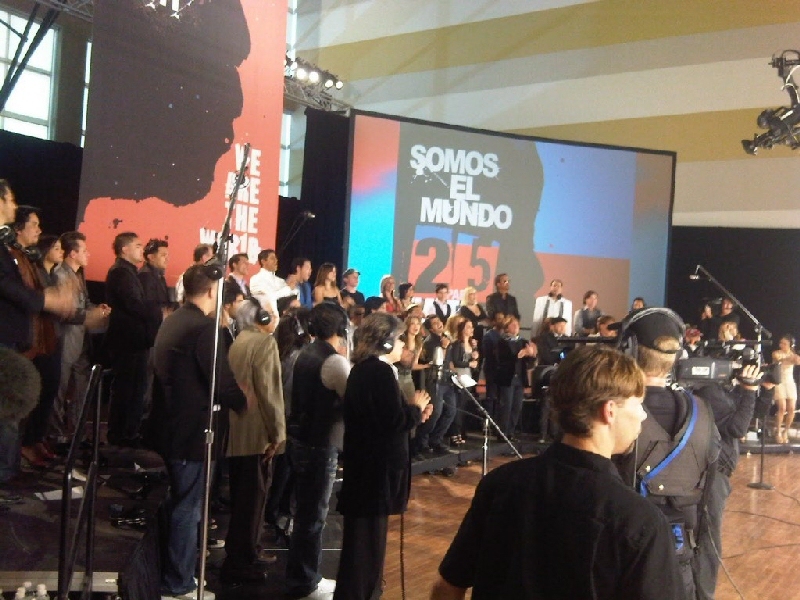 Somos el Mundo (We Are the World) updates! Thanks to John from Archuleta Avenue and others for retweeting. Pictures from inside the Somos el Mundo recording, credit to @lauramejiacruz! 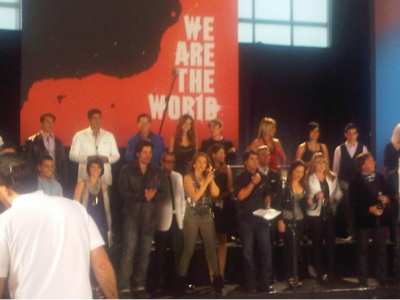 David is in the white shirt and black vest! The song will be available on iTunes to benefit Hope for Haiti. 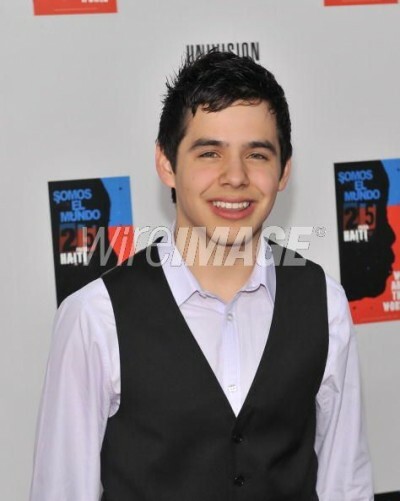 The video will premier on the HUGELY popular show, Cristina, on Univision on March 1. I’m so thrilled that David gets to participate in this amazing event. Maybe he’ll blog about it!! Or tweet!! Or both! !